In addition to physical damage, two deadly viruses can be passed by dogs: rabies and tetanus. That’s why it is important to be able to identify and find the dog that has bitten you. Observation by a veterinarian is appropriate when the vaccination status of the animal is unknown. If the animal cannot be quarantined for 10 days, the dog bite victim should receive rabies immunization. Most dog bites do require medical attention, because in addition to cleaning the wound, the patient may need antibiotics, a tetanus shot, and/or treatment to prevent rabies. Seek immediate medical care for multiple or serious bites, especially in younger children and bites that involve the child’s head and neck. After a dog bites, stop any bleeding by putting direct pressure on the wound. Then clean it extensively by flushing it with saline or water to remove as much bacteria as possible. Unless on the face or severe, most bites are not sutured, but left open to heal from the inside out. Rabies is an acute viral infection that humans contract when bitten by an animal infected with the virus. It can also be spread by contact with an infected animal’s saliva through contact with a cut, scratch or wound. All mammals can develop rabies and it is usually fatal. Once in your system, the virus travels from wound to brain, causing inflammation and death. Vaccinating your pets against rabies is the best way to prevent the spread of the disease. In the United States, vaccination programs have all but ended the risk of being bitten by a rabid dog. However, rabies precautions are still taken if a dog’s vaccination status isn’t known. Today, it is interaction with wild animals that places you at risk for rabies. 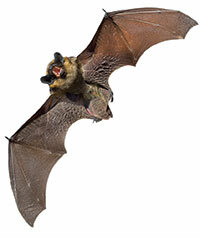 Almost three quarters of rabies cases develop after contact with bats. Rabies is also seen in raccoons, skunks, foxes, coyotes, wolves and bobcats. Always avoid animals that are acting strangely, especially nocturnal animals such as skunks walking around in broad daylight.